Manage Your Bills: Once you have opened an online account, log in and select “Manage your Bill”, where you can set up your preferred payment methods. You can select Auto-Pay, which will deduct money from your chosen bank account or credit card every month to make your Verizon FiOS bill payment or set up your Verizon FiOS account for Paper Free Billing. Pay By Card: You can select to pay via AUTO-PAY every month, using your MasterCard, Visa or American Express credit card. The amount you owe for Verizon Cable services will automatically be deducted from your card every month. Pay via Bank Account: Select AUTO-PAY and complete your customer profile under “Manage your Bill” by filling in your checking or savings account details. Once set up, your bill pay for Verizon Cable services will be automatically deducted on the same day every month. Make a One-Time Payment online: If you need to make a one-time payment, you can make your Verizon Cable bill payment with your savings or checking account, your MasterCard, Visa or American Express credit card or pay with your debit/ATM card, provided is carries the NYCE, Pulse or STAR® symbol. 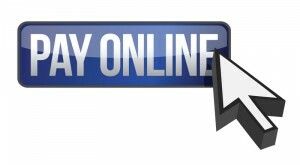 To make your Verizon FiOS bill payment online click the “Pay Online” button below to login, register, view your bill or manage your account online. Pay in Person: Open up My Verizon online and select “Pay in Person” on the left-hand side of the screen under the “Billing & Account” heading. A screen will open up that allows you to search the nearest payment location to your home. Simply fill in your full address including zip code and the most convenient payment location will appear on the screen. You may have to pay a processing fee, if you pay at an authorized convenient agent’s store. There are authorized free agents where you can make a payment in person. You can pay in cash (US currency only, with checks (no third party checks), certified checks, money orders and travelers checks at authorized agents. The agent will need a page from your current bill, suspension or denial notice at the time you make your payment. The notice or bill will display your Verizon account number. Verizon FiOS TV Billing Address: If you have home telephone service, your FIOS tv charges appear on your monthly Verizon Bill. You can simply mail your payments to: Verizon, P.O. Box 15124, Albany, NY 12212-5124. To ensure your Verizon FIOS payment is received on time it is recommended that you mail your payment at least 5 business days prior to the due date shown on your monthly billing statement. Posting to your Verizon Account: Verizon will receive real-time notification within minutes when you make your payment in person or online. Your payment will be posted to your account within 3 business days after the date of payment. You can open a Verizon Cable online account within minutes, if you are a new customer moving into a Verizon service area. If you are an existing customer and are planning to move within the Verizon service area, you can move the service you receive at your current address to a new location by following the online prompts or by contacting a representative via the “live-chat”, email or telephone options at Verizon.com (select “Contact Us” on the right-hand side of your screen. You can also call 1-855-899-1264 FREE to set up a Verizon FiOS TV account.